Donald Trump says the news media lie. In most instances he’s wrong, but that’s not the focus of today’s blog. Many of us face a bigger threat to receiving honest information than from the so-called fake media. What could that be? Unbeknownst to us, our brains are busily telling us lies about ourselves. After the fall election, a friend gave me a quote from the National Alliance on Mental Illness (NAMI): It said, “Your brain doesn’t always tell you the truth.” Because I was so upset about the election, I thought she was trying to tell me not to stress out. After eight months of this president, I suspect she had another message in mind, because stressing out over national politics seems like quite a reasonable reaction. 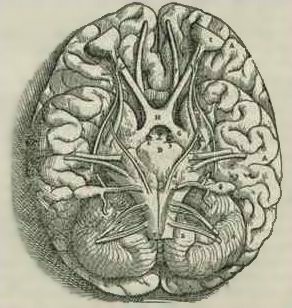 It wasn’t until after reading something in a writer’s blog last week that the topic of “our lying’ brains” (a new country western song title?) smacked me over the head like the NAMI quote never could. The blogger said that despite having eight published novels, every time she sits down to write, she still questions whether she has what it takes to be a writer. She says, “My brain lies.” After ignoring my friend’s NAMI quote for months, I now know there is so much more to this idea than I realized. Here’s part of the explanation the NYT gives: When we recall old information, “our brain writes it down again,” restores it in a different place than where it was originally stored, “and during this re-storage, it is also reprocessed. In time, the fact is gradually transferred to the cerebral cortex and is separated from the context in which it was originally learned. With time, this misremembering gets worse.” The article uses the research on memories to show how negative political campaigns work, but the studies work in many other contexts. Here’s my personal example. When I was a child my mother took me for a walk in a stroller to a beach near a railroad bridge. We arrived just in time to see people trying to rescue a five-year-old who had stuck his head between the tracks. I remember being fearful fear that an oncoming train — not yet on the horizon — would arrive in seconds and decapitate him. Later, I told my mother of my fears. “It was his hand,” she said, “not his head. They got it out easily. He was in no danger.” Wow! I never suspected my brain had been messing with me for such a long time. The “6 ways your brain is lying” also hits home. “#4. It insists you’re right when you’re not.” I don’t think I have to explain this to anyone who’s been married. In any argument, my husband and I are both always right. I also appreciate other points in this piece. “#2. It [your brain] makes you feel like a fraud.” I used to teach a workshop to help women overcome math anxiety. Research showed that if women did well in math courses at one level in school, they concluded they had just been lucky, really were frauds, and would be found out when they entered the next level. The successful writer above who wonders every time she sits down to write whether she can do it, also must feel like a fraud. And “#3. If people think you’re stupid, it makes you stupid.” We trust stereotypes and others’ negative views of us and don’t accept evidence that tell us they’re wrong. When I turned in an essay to my freshman English professor, who obviously was not an advocate for the Lake Wobegone effect, he told me I would always be an average writer. At least that’s how I remember it. I’m thankful for a professional life filled with writing responsibilities and glad I never asked him for a recommendation. For all the research out there on how our brains lie to us, there’s little available on how to manage this phenomenon, except perhaps to question our memories. It looks like what my friend shared is the one real option: remind ourselves that something very close to us might be telling us a lie. This entry was posted in health, inspiration, memories, personal reflections, stress and tagged mental-health, self-confidence, stress, the brain. Bookmark the permalink. Thank you. And I, too, am glad you didn’t listen to that idiot! Thanks. Roxanne. Nice to hear from you. Interesting topic! Especially loved the personal example.